The place was amazing, clean and close to the sea. the villa was fitted with all needed amenities ranging from a fully equiped kitchen, wifi, two toilets, clean and warm swimming pool and a grill in the garden. The accommodation was extremely clean and the rooms were spatious. a sea breeze was always blowing in the area and made the summer temperatures very bearable. the three patios/ terraces added to the comfort. the host was extremely pleasant and she provided a comfortable and pleasant environment within a beautiful natural landscape (pomengranate trees, flowers, olive trees, plum trees, etc.). she also welcomed us with traditional greek sweets from her own shop. parking places were provided 30 seconds away from the villa. nearby there were 3 tavernas -3 min walk- and the votsi village was 5 min away. the largest village, patitiri, was a 20 min walk/ 4 min drive. the old village (chora) was only a 12 min drive. we felt amazing and enjoyed every second of it. The location was very pretty and the hosts were very friendly and helpful. In the heat of the sun there is always somewhere shady to sit both by the villa and the pool. Everything was fantastic! The owner, Mrs Maria Karakatsani was so helpful. She even came to meet us at the port and had us follow her to the villa. Everything was clean, comfortable, and we were so incredibly well looked after. 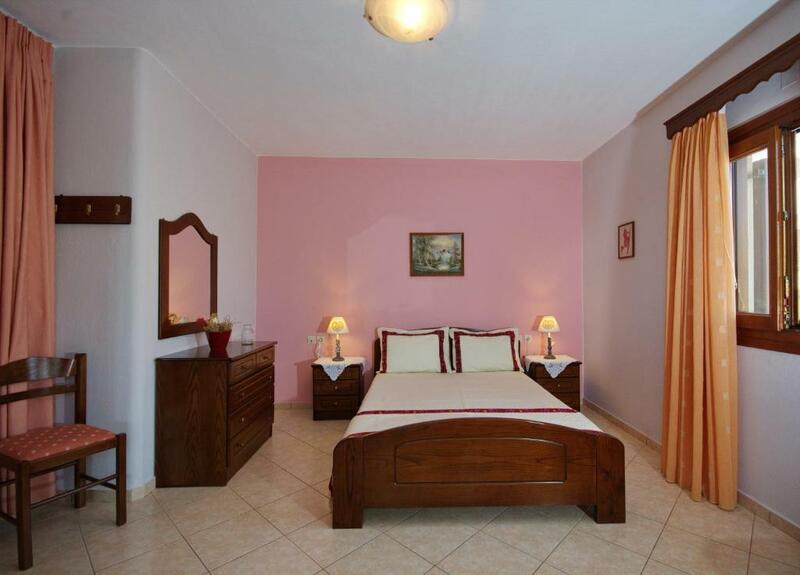 As a Greek family, we value comfort and cleanliness, and this is exactly what we found at Kamelia Villas. Ευχαριστούμε πολύ για όλα! Rymligt villa med bra läge i utkanten av trevlig fiskeby. Vacker utsikt och och trivsam trädgård och fin pool. Villetta indipendente in una zona tranquilla di Votsi con arredamento superiore alla media, non manca nulla, proprietaria sempre disponibile e ottima la pulizia sia interna alla casa che nel giardino adiacente, eccelle l'uso privato della piscina. Bella villetta .elegante,ordinata,attrezzata,spaziosa. Ottima accoglienza . In posizione tranquilla. Serve auto propria per raggiungerla. Πολυ καλη τοποθεσια , κοντα στο λιμανι κι ειχε παραλια πολυ κοντα. Η οικοδεσποινα πολυ εξυπηρετικη και προθυμη να μας κατατοπισει και να μας φιλεψει. Το σπιτι πολυ καθαρο και ο χωρος αρκετα οικειος. Ιδανικο για οικογενεις η μεγαλες παρεες. Θα ξαναπηγαιναμε σιγουρα! 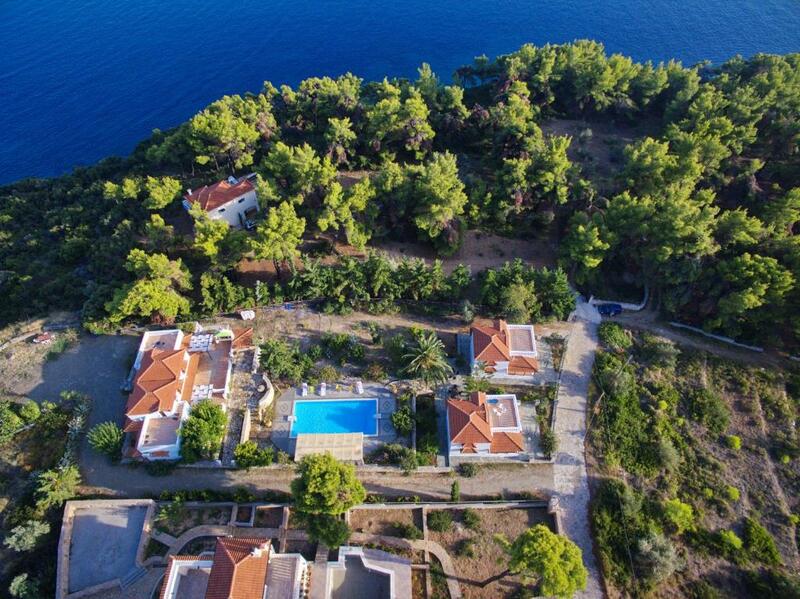 Lock in a great price for Kamelia Villas - rated 9.5 by recent guests. 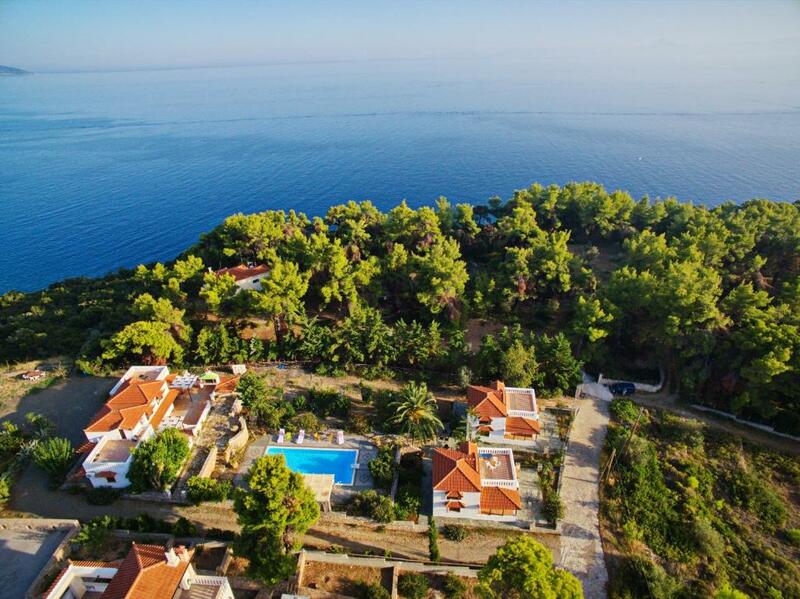 Located 550 yards from the beach in the area of Votsi, Kamelia Villas features an outdoor pool surrounded by a stone-paved sun terrace with shaded area. It offers accommodation with a fully equipped kitchen and free WiFi. 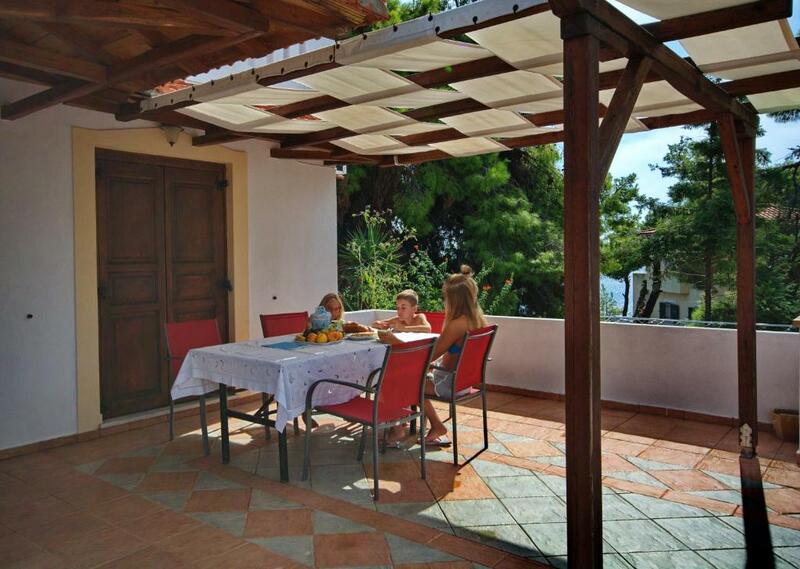 The air-conditioned Villa Kamelia opens out to a balcony with outdoor dining area for 6 and views over the sea, the old town and the harbour. The kitchen is equipped with a stove, fridge and dining area. Restaurants and bars can be found within 350 yards. The port and the village of Patitiri are 1.6 miles away. Free transfer service is provided and free private parking is possible. 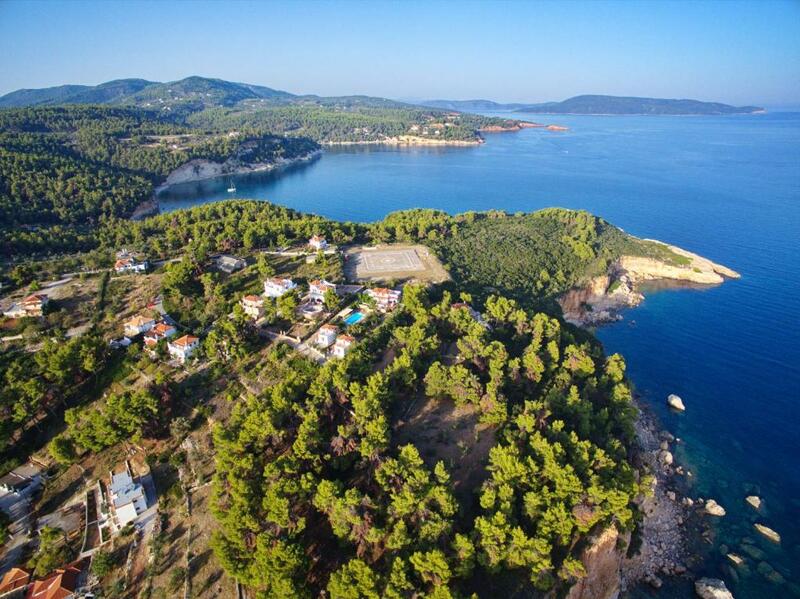 This property also has one of the best-rated locations in Votsi! Guests are happier about it compared to other properties in the area. This property is also rated for the best value in Votsi! Guests are getting more for their money when compared to other properties in this city. 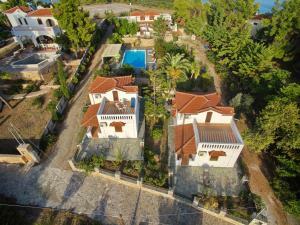 Kamelia Villas has been welcoming Booking.com guests since 14 Mar 2014. 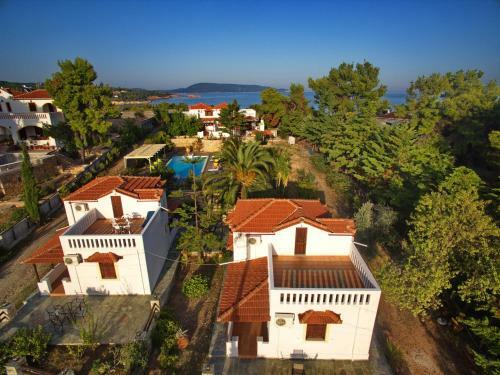 When would you like to stay at Kamelia Villas? 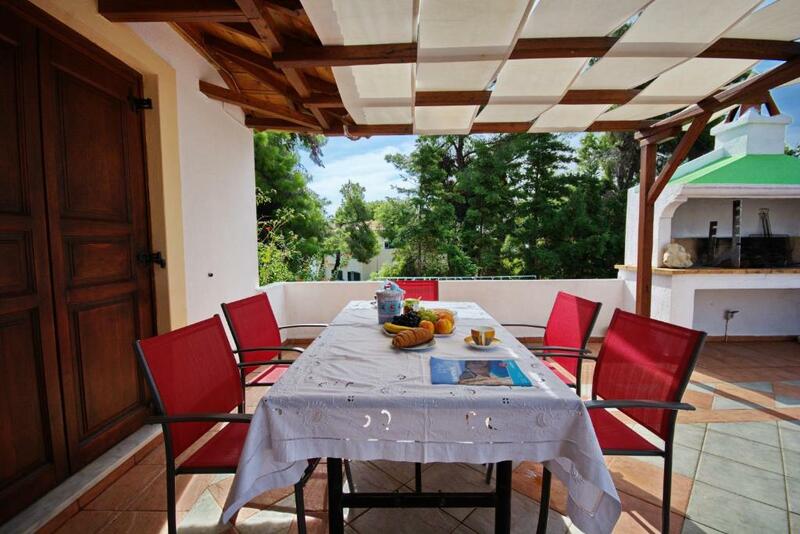 Featuring a shared pool, this villa consists of 2 bedrooms, a fully equipped kitchen and 2 bathrooms. Free WiFi is available. House rules Kamelia Villas takes special requests - add in the next step! I recommend you have fixed money for accommodation. we did not get the rest. Be careful there are many ants in the house - in the kitchen and upstairs. There was nothinf we couls complain about. We found the beds very hard. The sun beds would also have benefitted from a padded cover. Nothing. We enjoyed beautiful, comfortable accommodation on a beautiful island. Can't wait to return. We had a lovely stay at Kamelia Villas and look forward to going back in the future. Everything is very well thought out - there is a lovely shaded area near the pool, the gardens are beautiful and each villa has a good amount of privacy. Our villa was very well equipped and comfortable. We didn't do much cooking but there everything you need including a rather splendid barbecue for those who want to. The WiFi was also excellent. 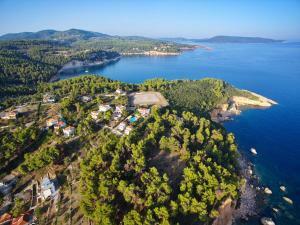 We arrived by ferry from Skiathos and the whole process was very easy. We let the owner know what ferry we were on and she met us at the port and took us to the villa, offering to wait while we popped into the supermarket to pick up supplies. The owners take great pride in the properties, and this shows. The villas and grounds are very well cared for and everything was spotlessly clean. There is a supermarket within walking distance and you can walk to Votsi harbour which is very pretty and has some tavernas. To explore the island properly you do need to hire a car.